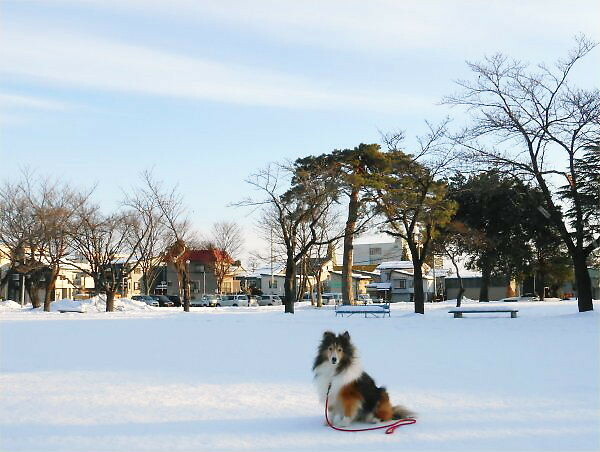 In the early morning on Wednesday, December 12nd, we could walk on the frozen snow-field, which is called “Shimi-watari” in Japanese. However, though Yoshy wrote “early morning”, in fact, it was around 7:30. The 1st picture says that Erie is on the gate-ball field. You can see a green colored rectangle signboard far away. It is the west-side entrance of LL Shihoya Arai School. 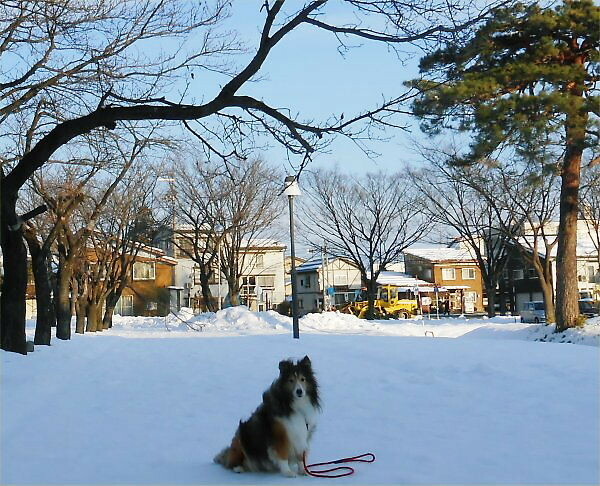 At the 2nd one, Erie is “Cherry Avenue” Yoshy has very often taken pictures. 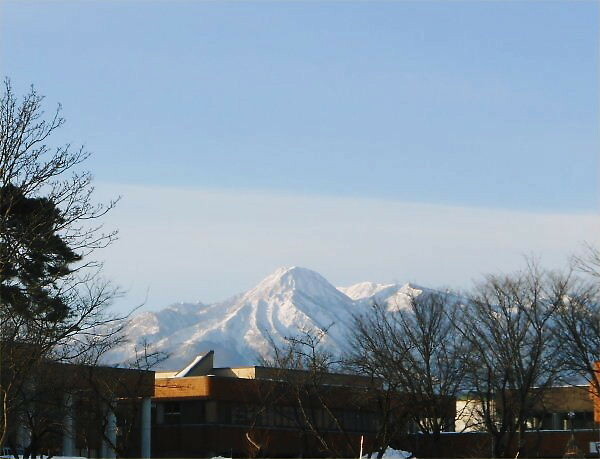 The 3rd, you can see the sparkling white Mt. Myoko (2,454 m high), which has been starting a natural water reservoir. It’s already in the middle of cold winter. Today, Tuesday, 18th, sleet was falling from early morning and changed into snowing from around 4:00 pm; still falling.